Want to win a Trezor worth $99? This is your chance now! 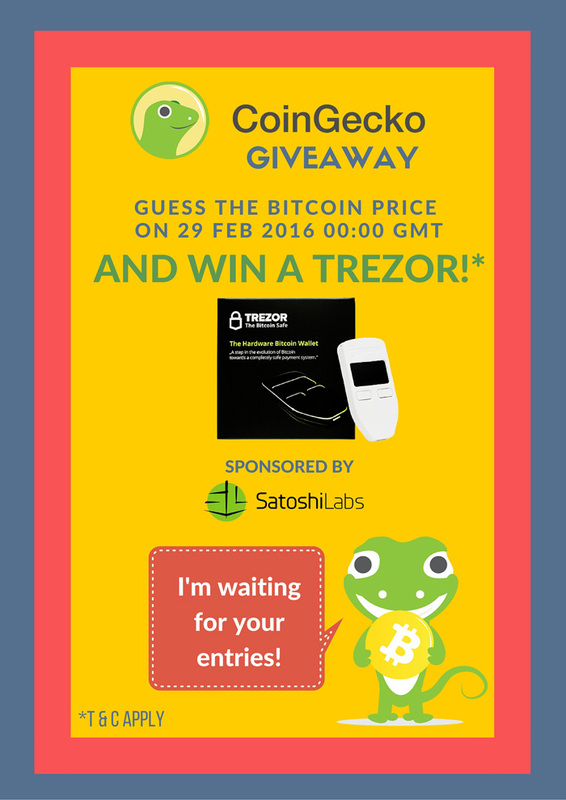 CoinGecko in collaboration with SatoshiLabs, the maker of Trezor is organizing a contest to give out a Trezor to one lucky winner. Participation is really simple. All you need to do is guess the price of bitcoin in USD on 29 February 2016 at 00:00 GMT (London time). 2016 is a leap year and since this happens only once every 4 years just like the Bitcoin block halving, we thought it would be fun to organize a competition and give away a Trezor to our loyal supporters! Terms & Conditions apply of course - read below for the full T&C. If you are wondering what is a Trezor and want to know its performance, do check out CoinGecko's review of the Trezor. 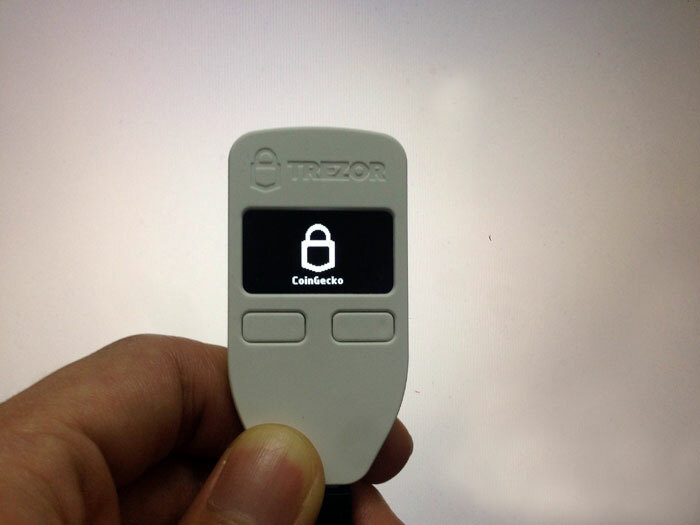 UPDATE 5 March 2016: This Trezor Giveaway has ended and is now closed. The winner is selected from those submitting guesses of USD432 and USD433. We have selected the winner - Rafal Lackorzynski. We will contact Rafal for delivery details. Thank you for your participation! *All entries within 2 USD of the closing price on CoinGecko BTC/USD price chart on 28 February 2016 (i.e. 29 Feb 2016 00:00 GMT) will be considered as closest guesses. For example, on 1 Jan 2016, bitcoin price as listed on CoinGecko is USD434.427. Thus all answers for USD434 and USD435 will be considered closest guesses. If there are more than one entry for the closest guess, a random entry from the list of closest guesses will be chosen as the winner. The selected winner will be given 3 working days to respond to an email requesting for actual name, address and contact number for prize delivery. If there is no reply within 3 working days or the information provided is deemed to be invalid, the winning entry will be forfeited and a new random winner will be selected from the list of closest guesses. By taking part in this contest, you are giving consent to CoinGecko and SatoshiLabs to add your name and email address to our mailing lists. Each person can only submit one entry. If there are more than one entry per person, participation will be disqualified. Winner will be required to take a selfie of the Trezor that has been delivered and must give consent to CoinGecko to use the name and picture for future promotional and marketing activities. Failure to comply with the above Terms & Conditions will result in CoinGecko to terminating participation and prize.